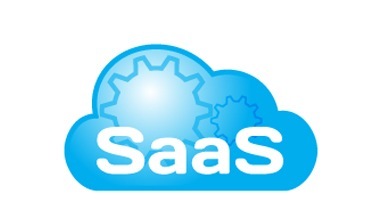 SaaS must have a solid foundation of business metrics analysis. For this reason, startup SaaS means inventing new metrics that are meaningful to their own model. Previously, we wrote about Software as a Service (SaaS) in details, in this article; we will go through a fully different topic. Also we stated that, Cloud Computing is More About Business Than Technology specifically when a SaaS is considered. The universe of software as a service or SaaS is one of the most popular model of business in recent years and a good path for startup in the IT field, but to survive the first stirrings of a company that aims its activity on SaaS, must have a solid foundation of metrics of business analysis. To many startup companies, SaaS means inventing new metrics that are meaningful to their own model, which is often more than traditional metrics can do. In recent years, who are directly working with SaaS companies have become familiar with the evaluation and possible changes in metrics such as the committed monthly recurring revenue (CMRR), customer acquisition cost (CAC), lifetime value (LTV), and many other measurements. If these metrics are not developed or rather simple analytics are used, failure is obvious. The life cycle of a SaaS can be a problem itself. Changing Infrastructure, ownership, user interface creates a miscommunication between the user and SaaS provider, in which the first does not recognize the true total value of the second, distorting starts. Planning can actually eliminate this misunderstanding. Often traditional financial systems do not take the needs of SaaS companies into account, this factor alone can be detrimental. The traditional income statement operates on a retrospective view, in which the revenues are measured based on, how much money a company makes in a quarter. This type of economic evaluation of profit might not be suitable for a SaaS, which typically sells multi-annual subscriptions, in which the conclusion of a contract leads to a revenue of periodic incurring nature which have some special characteristics. So when it comes time to put the company on the market, potential buyers assess the evaluations of out of place and its too traditional, neglecting the SaaS metrics. This Article Has Been Shared 8440 Times! Cite this article as: Abhishek Ghosh, "SaaS : What Problems They Faces For Metrics," in The Customize Windows, December 7, 2012, April 25, 2019, https://thecustomizewindows.com/2012/12/saas-what-problems-they-faces-for-metrics/.